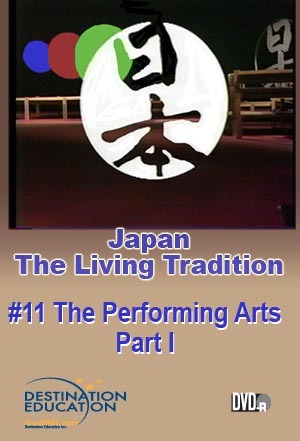 This program introduces the performing arts with a survey of some of the most important of them. The program discusses some of the early origins of theater and dance, and uses film clips showing actual performances. These segments are interwoven with discussion and narration by Arthur Little, professor at Earlham College, and an authority on Japanese theater. Rights granted with purchase include: a) life of media audiovisual use, b) public performance, c) campus or building closed circuit and digital/video-on-demand transmission. Broadcast, cablecast and telecourse rights are also available. Email slenzen@shopdei.com for pricing. Course Packs (all episodes of this series on three DVDs in a single case) may be purchased for $25.00 each, plus 7% (minimum $5.00) shipping and handling. They are ideal when students are required to view all or most of the episodes independently. Course Packs are only available to institutions that have purchased the complete series or have licensed broadcast, cablecast or telecourse rights. Email slenzen@shopdei.com for details.